Come and enjoy the beach and relax in this exquisitely remodeled townhouse Bright colors and granite countertops are just the beginning! Once you settle in here, you won't want to leave! Sunday to Sunday rental during the peak season. Recently updated, this spacious 2BR/2.5BA townhouse sleeps up to 10! 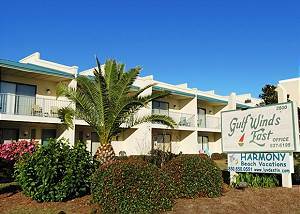 Relax on the balconies off of each bedroom and enjoy the sounds and breezes from the Gulf. Sunday to Sunday rental during the peak season. This townhouse has been recently remodeled and is very bright and cheery!! You have a view of The Gulf from your balcony and comes with free internet. The private beach access also has a gazebo for your enjoyment! Sunday to Sunday rental peak season. Recently remodeled and big on space, this townhouse is sure to please! The sugar white sands of Miramar Beach are just a few steps from your front door! Stay once, and you will be hooked! Sunday to Sunday rental during the peak season. More Pictures Coming Soon!!! Property currently being remodeled and getting readied for the busy summer season! Sunday to Sunday rental during the peak summer season. Largest square footage unit in the complex! 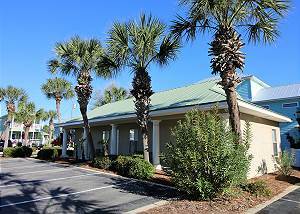 Come enjoy the space and convenience to the beach. The sand is 1 minute away from your front door. 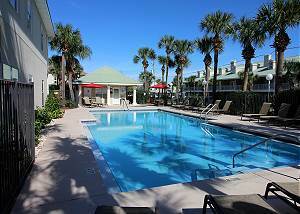 A Seasonally heated pool and hot tub are waiting on you! Saturday to Saturday Rental during Peak Season.